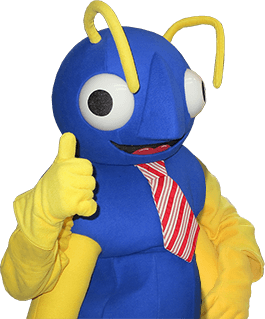 Since 1935, Big Blue Bug has been delivering quality pest control services to homes and businesses in Webster, Oxford, and Worcester, as well as throughout Massachusetts, Rhode Island and Connecticut. We specialize in eliminating ants, bed bugs, mice, termites and many other pests commonly found in New England, and we use eco-friendly pest control treatments to ensure the safety of your family, friends, pets, customers and employees. Whether you’ve seen mice scurrying across your kitchen floor or found carpenter ants in your home, Big Blue Bug Solutions can resolve all your pest problems quick and efficiently. Ants are one of the most common insects found in homes in Webster and are mainly just a nuisance. However, carpenter ants, the largest of the ant species in New England, are more than just an annoyance; they can cause serious damage to your home. Carpenter ants range in size from 5/8 of an inch to 1 inch in length and are very social insects. If you have noticed just a few carpenter ants in your home, chances are there is a nest of thousands already deep within your walls in tunnels and galleries. Carpenter ants are usually not a danger to humans directly. Yes, they can bite, but their bite is generally not very painful and does not cause adverse reactions in most people. Carpenter ants can cause significant damage to the interior structure of your home when digging their tunnels and galleries, which in turn weakens the integrity of your home, indirectly putting your family and pets at risk. Carpenter ants and termites are often confused with each other due to their size, the fact that they live in large populations numbering the thousands to a million and because they both cause damage to wooden structures. The similarities would stop there, however. While termites eat their way through wood, carpenter ants dig tunnels and galleries for their colonies, leaving behind little piles of sawdust on the openings of the tunnels. Carpenter ants tend to venture out from their nests more often than termites in their search for food and water, making their presence in your household known. Once they have made their way into your home, it can be very difficult to get rid of carpenter ants. At Big Blue Bug we would like to offer Webster homeowners some helpful tips to keep carpenter ants and other insects and rodents out of your home. By implementing these pest prevention tips, your Webster home will be better protected from unwanted insects and rodents. At the first sighting of carpenter ants in or even around your home, you should contact Big Blue Bug’s team of Webster pest control experts and let us resolve your ant problem today! If you have noticed any of these signs of termite activity, do not hesitate; contact our Webster office and schedule an appointment today! For more information on all our effective Webster pest control services, contact Big Blue Bug Solutions today!